274 pages | 63 B/W Illus. 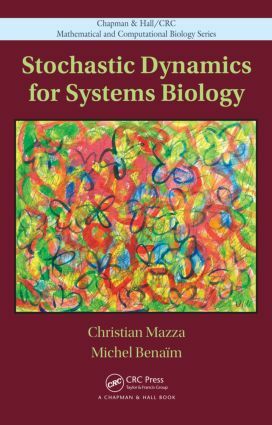 Stochastic Dynamics for Systems Biology is one of the first books to provide a systematic study of the many stochastic models used in systems biology. The book shows how the mathematical models are used as technical tools for simulating biological processes and how the models lead to conceptual insights on the functioning of the cellular processing system. Most of the text should be accessible to scientists with basic knowledge in calculus and probability theory. The authors illustrate the relevant Markov chain theory using realistic models from systems biology, including signaling and metabolic pathways, phosphorylation processes, genetic switches, and transcription. A central part of the book presents an original and up-to-date treatment of cooperativity. The book defines classical indexes, such as the Hill coefficient, using notions from statistical mechanics. It explains why binding curves often have S-shapes and why cooperative behaviors can lead to ultrasensitive genetic switches. These notions are then used to model transcription rates. Examples cover the phage lambda genetic switch and eukaryotic gene expression. The book then presents a short course on dynamical systems and describes stochastic aspects of linear noise approximation. This mathematical framework enables the simplification of complex stochastic dynamics using Gaussian processes and nonlinear ODEs. Simple examples illustrate the technique in noise propagation in gene networks and the effects of network structures on multistability and gene expression noise levels. The last chapter provides up-to-date results on stochastic and deterministic mass action kinetics with applications to enzymatic biochemical reactions and metabolic pathways. "This book is the ideal media for introducing many stochastic models from systems biology and the biological meaning of some biological notions, like Hill functions and binding curves, to mathematicians, and likewise providing the biologists with a mathematical framework of simulating and theoretically studying the biological processes. … The book also presents an original and up-to-date treatment of cooperativity …"